GasBuddy – This app searches for the cheapest reported gas price close to where you are and directions to get to each station. This comes in very handy every time you fill up and especially during road trips [link to old blog post on this]. You’re also rewarded points for reporting gas prices, which can go toward tickets to a weekly drawing for a $250 prepaid gas card at any station. Available to iPhone, iPad, Android, Blackberry and Windows Phone. ShopSavvy – Scan the barcode of a product to have the app search for the lowest price in your area and online. You can also see available promotions or receive future price alerts for the item with this app. Available to iPhone, iPad, Android and Windows Phone. Grocery iQ – This app works similarly to ShopSavvy while doubles up as your convenient grocery list. Scan barcodes and the app will do the rest – sort items by groups and search for coupons for each item. Available to iPhone, iPad and Android. Foursquare – Not only does this app let you have fun with earning points and badges and connecting (or “competing” on points) with your friends, it also shows you available promotions around your area or of a specific store or restaurant when you look it up. Vendors are increasingly using Foursquare to promote their businesses, so it’s a great time to be tech-savvy and save while you’re out and about! Available to iPhone, iPad, Android, Blackberry and Windows Phone. Groupon – The mobile version of Groupon’s email service that provides you with new daily deals from restaurants and other venues in your area. The app lets you browse for deals by geographic location, buy deals directly and manage your purchased deals. The app can also act as the paperless alternative to redeem your coupons. Available to iPhone, iPad, Android, Blackberry and Windows Phone. LivingSocial – Another similar alternative to Groupon, or an opportunity for you to save some more with local deals! Available to iPhone, iPad, Android and Nokia phones. It’s pretty amazing how efficient smart phones are making everyday savings. One of the most useful aspects is that you can save money regardless of being familiar with your location. The apps will find the best gas or grocery deals in the surrounding area. This can be very useful when saving money when on a trip of if you just moved to a new location. Saving money in your hometown is an obvious benefit as well! I have never used an app to track my finances. That being said, I frequently find myself using apps for specific functions (i.e. online banking). That being said, in today’s “high tech” society I believe this could disseminate financial information to customers and allow then to make more rational decisions when shopping. The only down side to these application, in particular to “groupon” and “social living” is that they tend to incentivize customers to purchase things they do not really need or want. But since the offers are perceived as “cheap” then consumers fall in the trap and end up purchasing the goods. I briefly reviewed the apps, and I wish they would be more customer friendly, personalized and with more clean programming codes. Nonetheless if used approprietaly they could potentially help a consumer save money. I have been using the Gas Buddy, Groupon, and Livingsocial apps for a while, and they have helped save me so much money! However, one flaw of Gas Buddy is that you may cancel out your savings while driving to gas stations with cheaper gas. It would be nice if you could calculate the most cost efficient option by factoring in distance and your car’s gas mileage. When the difference is only a few cents per gallon, I would like to know it is worth the extra driving time. However, as a college student, every little bit helps, even a discount of only a few cents off an item can add up. I try to get the most out of my money, and I am very excited to learn about the ShopSavvy and Grocery IQ apps. I have recently started “couponing,” and it has already saved me hundreds of dollars in the last couple of months. 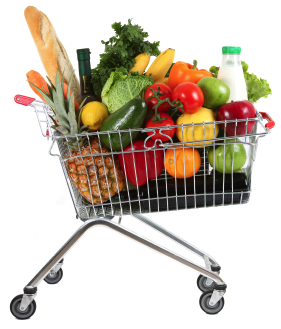 By using the Grocery IQ and ShopSavvy apps, I think I would be able to save a large sum of money, in the long run. If I can find out where products cost less, my coupons will cover a larger percentage of the cost of the item and could dramatically reduce my overall spending. I have tried to do this on my own by visiting different stories in the area to check prices, and it was very inconvenient to find this information without these apps. I don’t have a surplus of money or time, and hopefully, this will help make my shopping trips more efficient and my coupons go further. I’m really glad I came across this entry. I currently use a grocery list app, but one that can save me money is even better. I wonder if it remembers how much the item costs so I can better budget my shopping trips? As for the Gas App, I can’t believe I didn’t think about looking for one. I’ve got a very strict gas budget; sometimes I can’t afford to fill up my tank because I have to stop at whatever gas station I’m closet to. And it’s hard to keep up with the gas prices all by yourself! But hopefully this will help and I will certainly have to download it and try it out. I already use Groupon and Living Social all the time. I LOVE their deals, and it’s great for gift-giving, because it’s usually some pretty unique stuff you can find for a really great deal, and I use that in conjunction with saving for the holidays all year long to help cut down my gift-giving costs. Some people joke that iphone is “naked” or rather bare of apps like everyone else these days. After reading this blog, I am actually eager to download some new apps (for once!) I love shopping hence why I found the ShopSavvy app so appealing. I use it all the time now and recommend it to others on ways to save money! Of all of the apps listed my favorite is by far the Gas Buddy app. Driving a truck that gets 16 MPG makes the cost of gas very important to me. Gas Buddy allows me to not only find the gas stations that are closest to me but also to show me where to go to get the cheapest gas in my area. In addition to Gas Buddy I have started to use Groupon when my friends and I decide to go and do something out on the town. I’ve used many of the apps, and they’re great— I just forget about them. Lately I’ve been watching all the coupon addict shows, and although they are way over the top, I can’t help but think that coupon use would be great for students, but too time consuming and requires too much organizing. I think an app to help consumers with coupons and saving money weekly from their favorite stores keeping all coupons in one place that are scan-able would be great! I’ve used several of these apps such as Groupon, Cheap Gas, etc. and I get great results with them. Not only are they providing consumers with a way to save money, but they also make sure to key in on your interests and locations. That way you aren’t getting deals for somewhere in Colorado when you live in Nevada. Technology is helping us become more savvy shoppers which is great, especially in a time of limited economic activity. I get daily emails from both Groupon and LivingSocial. Both are great apps that I highly recommend. They offer very affordable deals around multiple cities and are great for students on a budget. I get them for a lot of different restaurants around the LSU campus. It also offers discounts on different activities around the city. For example, if a festival is coming up they will offer the ticket for usually around half off. I have personally never tried any of the applications but I think this blog post is a great way to show how technology today can help a person stay on budget. I have heard of people using each of these applications and really enjoying them. Another great thing about these applications is that they are almost all free. They also do not take a long time to learn to use or to add into your shopping trip. The shopsavvy application seems like something that I could use and would be very beneficial to someone who likes to plan their shopping trip ahead. All of these smartphone applications are very helpful in day to day life. I have not tried each of these, but my favorite of the ones that I have tried is gas buddy. This summer when gas prices were reaching $4 this app came in handy all the time. Although many gas stations in Baton Rouge only vary in price of a few cents, it was fascinating to see the difference between the most expensive to the cheapest in town. I have heard of Livingsocial and Groupon, but I personally have never bought anything from them. I know that they have great deals because my mom uses those apps. I may have to check them out to see it any of the deals would be beneficial to me. GasBuddy could possibly be one of the most useful apps for people living on a budget. Gas prices constantly change, sometimes more than once a day. Often people will pull into a gas station and realize that the station’s gas is greater than what they believe they can get it at a different station. Little are they aware, by the time they drive out of their way and get back to their original position, they have likely broke even. For example, if I want to put 15 gallons of fuel in my truck at a gas station that is on my route to school at $3.10/gallon, I will spend $46.50. Then I realize that I thought I saw gas earlier this morning at a station on my way to work (6 miles away) for $2.90. If I drive back to that station before going to school, I find out that the price actually rose to $3.00/ gallon (still 10 cents cheaper). If I fill up there I will end up paying $45 equaling a savings of $1.50. After saving the money, I have driven a total of 12 miles out of my way which is equal to the miles per gallon I can drive in the city. In this situation, I will have actually spent $1.50 more because in order to save $1.50, it cost me an entire gallon of gas costing $3.00 to get there. If I would have used GasBuddy, I would have known that I should have fueled my truck on the way home from work. GasBuddy provides a solution to the issue people face driving around town looking for cheap gas prices. The barcode scanner is one of my favorites. Sometimes you may not have to travel to the store where the item is cheaper because most major retailers will price match. I also expect Living Social to get even better. It was recently bought by Amazon. I agree with your comment. The bar-code scanner is very helpful, you can find almost anything you want without going to the store.This can help you save time and money. I am definitely on the band wagon with the Gas Buddy app. Its probably one of my most use apps. With gas being so high i can find the cheapest stations and sometimes save 30 cents/gallon. It allows you to filter your choice by price, mileage, or even find which stations have diesel/premium. My friends often make fun because i use it too much, but who’s laughing when i save $5 per fill-up. Kudos to free apps that save money! I just recently got a smart phone and i have never thought to use it to find deals and save on purchases. This is definitely something that i could use to save money on groceries and gas. A few months ago i went to smoothie king but was disappointed to discover that they no longer use the punch cards for buying smoothies, they now use a smart phone app to keep track of purchases and give discounts. This is something that i look forward to using in the near future. I never had heard about the GasBuddy app i am very impressed with the idea. I believe the way that they incentivized reporting was a really great idea and giving a 250$ gas card really gets people interested. Also i am a avid user of living social and I think that everyone should use it. I had no idea these apps existed! I am excited to download them and try them out! I do use Groupon and LivingSocial and it is a great way to try a new restaurant or service that I would not normally have tried for a great price. These apps always help me save. I use gas buddy to help me find the cheapest gas that is closest to me. They are also very convenient. If you have not downloaded them, you definitely should. I’m an avid user of Gas Buddy. It’s especially helpful on college road trips when we can sort the gas stations by map to prioritize the closest or cheapest rest stop. I also suggest using “The Coupons App”. It is a location based app that shows coupons of businesses around you. It’s a great app to have when looking for lunch time specials! I use the apps Gas Buddy and Groupon all of the time. I love Gas Buddy because it shows me the closest gas stations with the cheapest prices in my area. While being in college, it is very helpful to find the cheapest gas in the area. Groupon is one of my favorite apps. I check it almost everyday because they have awesome deals on there for vacations, accesories, and technology. Most of the time the discounts they have on things are more than 50% off which makes it a great money saving app. These apps are definitely the future of marketing for all businesses from department stores all the way to your local grocers. Just last February, the LSU College of Agriculture sent myself and 3 other students to the National Grocer’s Association conference in Las Vegas and competed in a marketing study of how mobile couponing can be used in local grocers. We listed all of these apps, from FourSquare, Groupon, and LivingSocial, and how they can benefit the store. All of these are great apps that not only benefit the consumer with a discount but also the stores by getting volume into the door. I recommend all of these apps in this article and truly believe this is the future of coupons. I have used GasBuddy, Groupon, and Living Social. These are all great apps used to publicly post the lowest prices for a good/service in an area. My personal favorite is GasBuddy. As long as people are frequently updating gas prices, it accurately shows the lowest gas price in an area. I have found that in smaller towns people typically do not use GasBuddy; therefore, it is best used in larger cities. I have never heard of ShopSavvy or Grocery iQ but I will definitely be giving these a try. I have actually used several of these apps and they are great money saving tips. Being able to have these apps right at your finger tips is very helpful! Technology has made it so easy for everyone to save money and find where the best deals are!